Mate, also known as chimarrão or cimarrón, is a traditional South American infused drink. It is prepared from steeping dried leaves of yerba mate (llex paraguariensis, known in Portuguese as erva mate) in hot water. It is the national drink in Argentina, though Paraguay and Uruguay also happen to claim nationality over the beverage, and drinking it is a common social practice in parts of Brazil, Chile, eastern Bolivia, Lebanon and Syria. The drink contains caffeine. 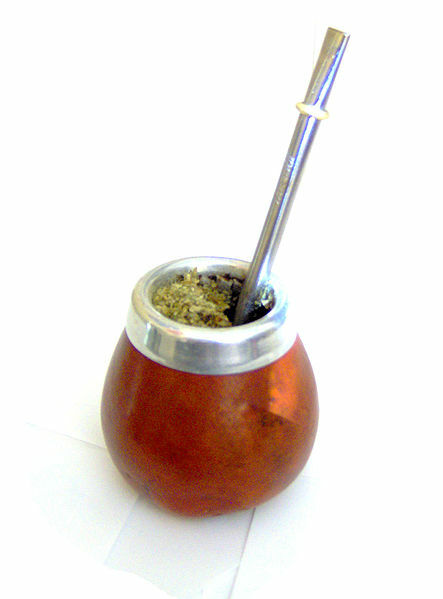 Mate is served with a metal straw from a shared hollow calabash gourd. The straw is called a bombilla in Latin American Spanish, a bomba in Portuguese, and a masassa in Arabic. The straw is traditionally made of silver. Modern commercially available straws are typically made of nickel silver, called Alpaca, stainless steel, or hollow-stemmed cane. The gourd is known as a mate or a guampa, while in Brazil it has the specific name of chimarrão or cuia. Even if the water comes in a very modern thermos, the infusion is traditionally drunk from mates or cuias. However, "tea-bag" type infusions of mate (mate cocido) have been on the market in Argentina for many years under such trade names as "Cruz de Malta" and in Brazil under the name "Mate Leão". Left: A mate gourd with a bomba, ready to drink. 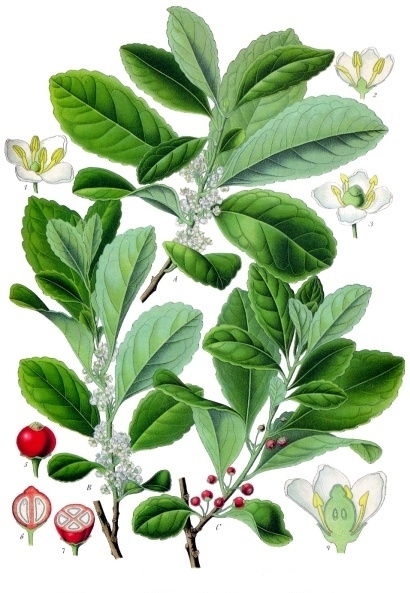 As with other brewed herbs, yerba mate leaves are dried, chopped, and ground into a powdery mixture called yerba. The bombilla acts as both a straw and a sieve. The submerged end is flared, with small holes or slots that allow the brewed liquid in, but block the chunky matter that makes up much of the mixture. A modern bombilla design uses a straight tube with holes, or spring sleeve to act as a sieve. 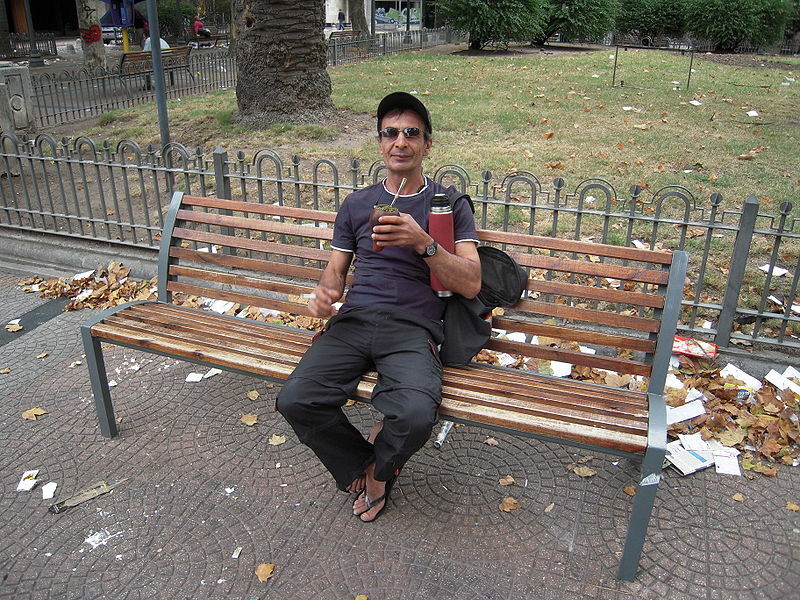 Left: Mate drinking in typical Uruguayan way.